Georgia is a country that lies geographically in two parts of the world; Europe and Asia and that is something you notice immediately when you visit the country. 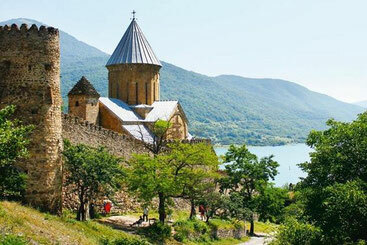 It is the gateway to the Caucasus and the link between East and West. 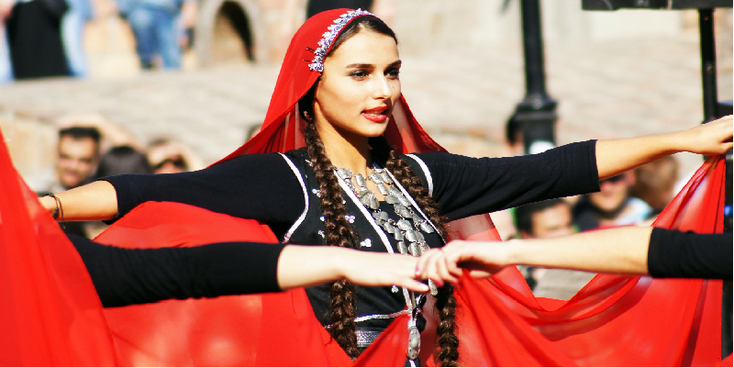 The small country is located between superpowers Russia, Turkey and Iran and has in the past often had to deal with these powerful neighboring countries that often gobbled up Georgia in their quest for conquest. Even now there are still problems; the status of constituent "Abkhazia" and South Ossetia "since independence of the Soviet Union in 1991 cause many problems and conflicts. In 2008, Russia invaded Georgia to clarify who is actually still in charge in the region. The economy of Georgia, formerly one of the most prosperous of the old Soviet republics, was hit hard by the civil war (1991-1992): tourism, and the cultivation of tea, tobacco and citrus fruit collapsed. With the reign of President Shevardnadze (1992), the economic situation has improved, but the recovery is hampered by the autonomy of Abkhazia, corruption and a weak government. This creates a large external debt, a lot of poverty, and overdue payments of wages and pensions. An important positive economic step was the opening of an oil pipeline from Baku in Azerbaijan to the port city of Soepsa. Despite all the problems, Georgia is well worth a visit; with a very intense and long history and with the label of first producing wine in the world, the country is on many travel lists. The landscape is very varied with the high Caucasus mountains in the north, the Black Sea coast on the westside and the semi-desert area in the southeast. Perhaps the highlight are the unique watchtowers scattered throughout the beautiful mountainous landscape of "Svaneti" in the north. It is not for nothing that the entire region has been declared a UNESCO area for years. But there are also ancient churches, monasteries, caves, and the parental home of Stalin (who was born and raised in Gori) and the beautiful vineyards in the east are a delight to the eye and mouth. 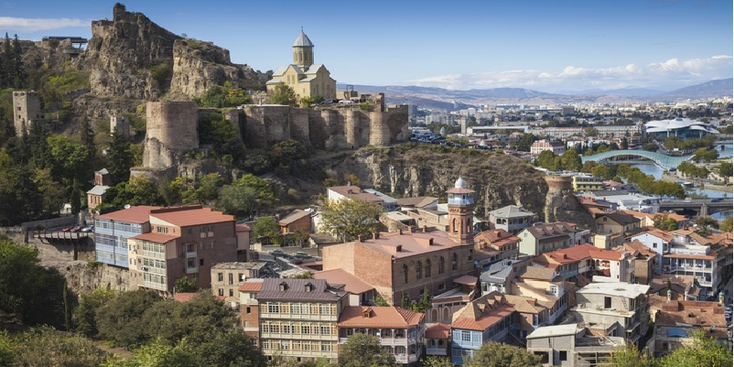 Tbilisi is considered to be the most interesting city in the Caucasus while Batumi is called the “Benidorm” of the Georgian Black Sea coast. Not to be forgotten is the terribly varied cuisine of Georgia - since the country is governed by many lands, it has taken over the best from any surrounding kitchen and mixed it all together. The result is a very spicy but varied kitchen. The major roads are reasonable, the people extremely friendly, helpful and hospitable and you do not need a visa anymore coming from most Western countries. English is becoming more and more widespread, as are tourist information agencies and hostels, only the Georgian alphabet is still a problem for many. Georgia is a country to visit now before the big crowd heads here because it has the potential, prices will rise, people start to become arrogant and tourists start to drop off and you are chased by taxi drivers and touts.